Hand patinaed bronze cuff bracelet by Silver Seasons. Native to China, the gingko biloba tree dates back to the time of the dinosaurs. 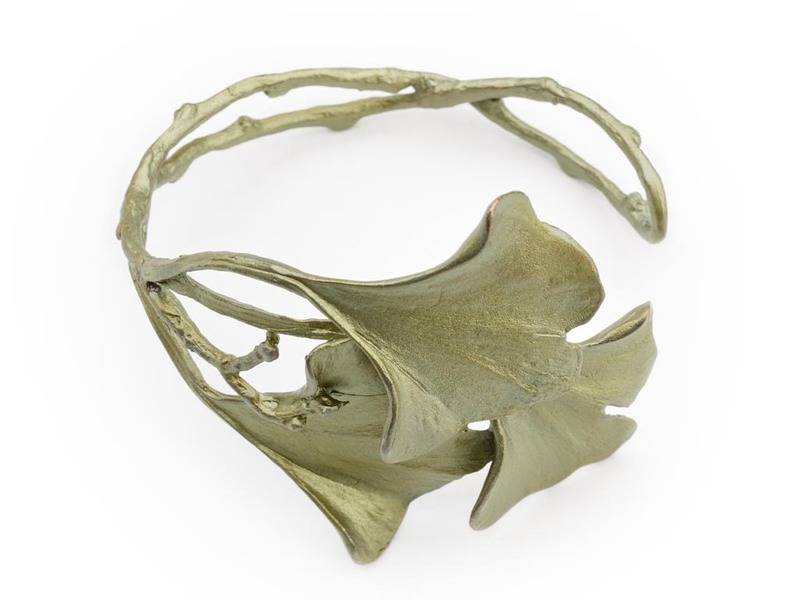 The three layered gingko leaves of this design compliment the wrist in a neutral, elegant style. Artist Michael Michaud casts his jewelry from real flora collected in his travels around the world. The Silver Seasons collection features hand-crafted pieces, each capturing the unique details of genuine nature. Michaud finishes each design in bronze, sterling silver, or gold, adding genuine stone and pearl accents to capture the beauty of the natural world in eye-catching, stylish motifs.